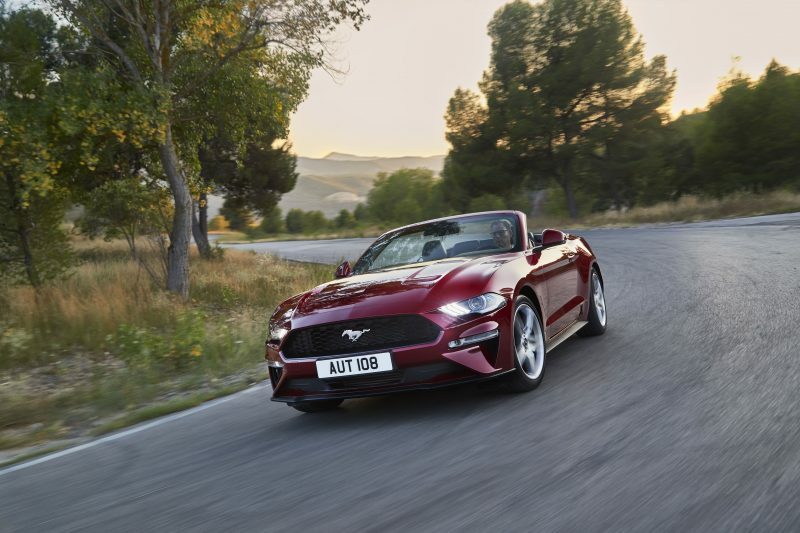 It feels like it was quite some time ago since we first had the right-hand drive Ford Mustang arrive on UK shores, so I suppose it was about time Ford gave it a refresh. Well I say refresh, but in fact the American brand has been hard at work to put a good number of changes to ensure it’s more athletic than ever. It’s faster, more dynamic and safer, so the signs are most certainly looking good. Cars like the Mustang are all about the power, all about having big muscles to flex on the blacktop. A muscle car with no muscle is like a jam doughnut without.. well, the jam. 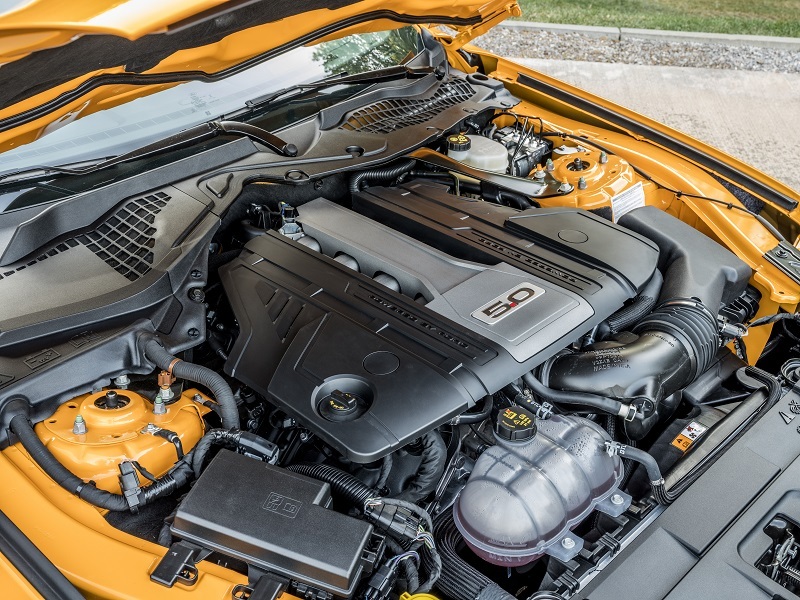 The outgoing model wasn’t exactly down on power, but Ford has decided to put some more horses in to the car’s 5.0 litre V8 stable. 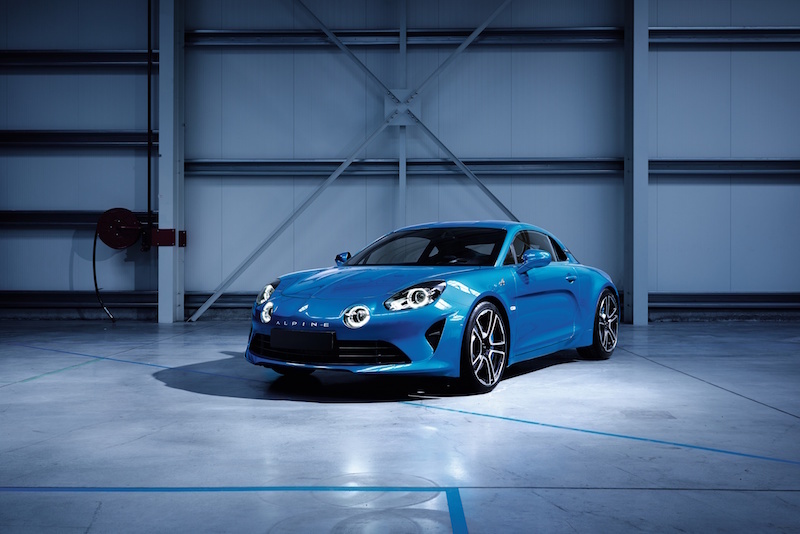 The new model is anticipated to offer 444bhp, which would represent a 34bhp on the current engine. Interestingly though, the 2.3 litre EcoBoost is actually less powerful, having gone from 313bhp to 286bhp. Ford has stated that the engine will be more responsive though, so hopefully the deficit in power will go unnoticed. And anyway, surely you’d want to go for the hairy-chested V8 given the chance. I know, I know, it’s more money and it will be at the petrol pumps more often, but it’s the only engine to have in a Mustang if you ask me. 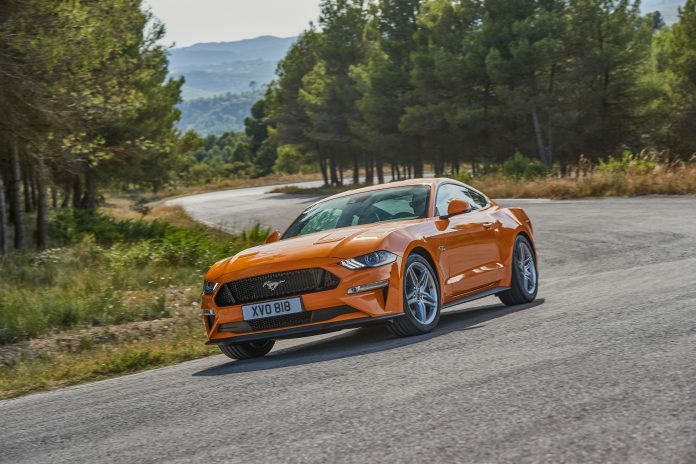 Like the outgoing model, the new Mustang will be made available with a 6-speed manual gearbox, but there is now the choice to have Ford’s new 10-speed automatic. Yes, that seems like far too much choice, but the brand states it will offer greater efficiency and better acceleration. It will also give you fingers a good workout as I imagine you will need to use the steering wheel mounted paddles fairly often if you opt to have it in manual mode. However, this system ensures that this will be the fastest accelerating Mustang yet. 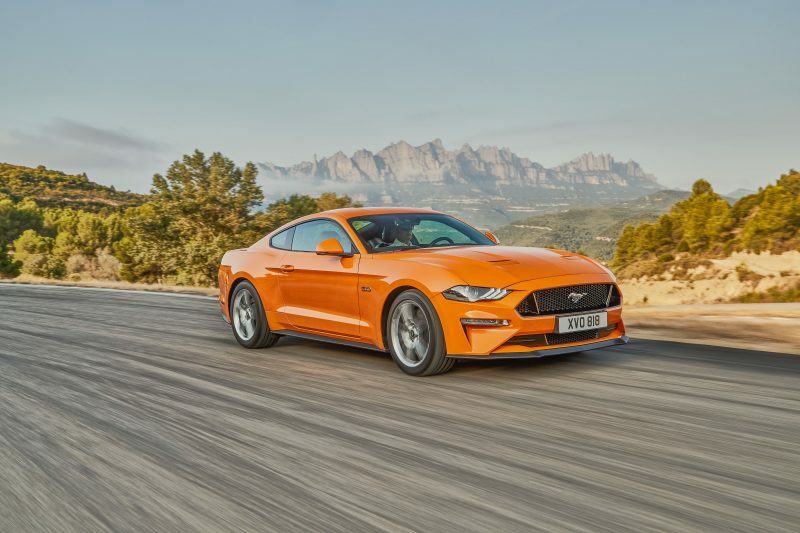 The Mustang is not just about brute force though, the engineers have been implementing changes to make sure this is the best handling model yet. The shock absorbers have been recalibrated, plus the anti-roll bars has been beefed up to decrease body roll in sharp corners. Buyers will also be able to choose to have the optional MagneRide setup, which has a unique fluid in the dampers that can either increase or decrease damping resistance depending on the driving conditions. 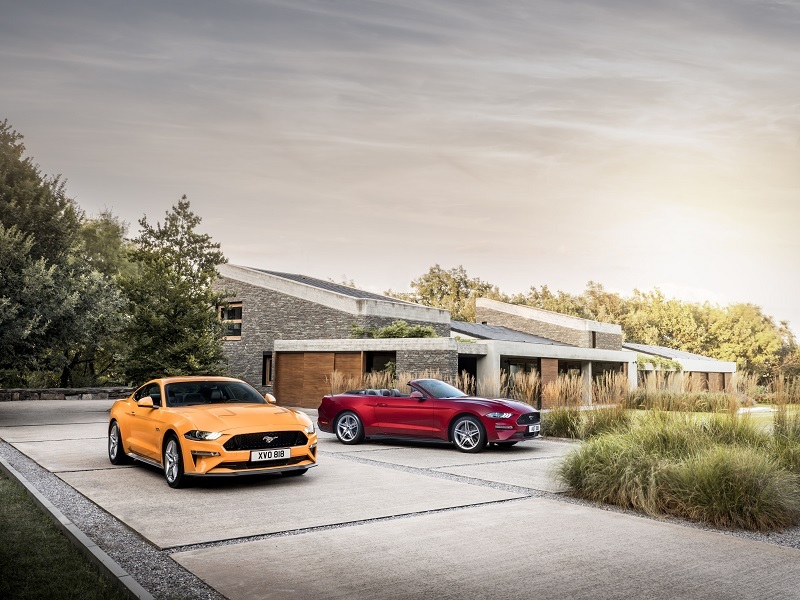 As well as the pre-existing driving modes – normal, sport, track and wet/snow – the Mustang now comes with a ‘Drag Strip’ mode as well as ‘My Mode’, which enables drivers to personalise single settings to match their driving style. The Drag Strip mode on the other hand, will maximise the acceleration rate to give the best quarter mile times possible. Just try not to use it at the traffic lights on your daily commute as you’re bound to look a bit of a tool. To add on to the driving modes, there is a new mode for the exhaust as well. It’s called ‘Good Neighbour’. This setting is to be used to hush the exhaust down when you are using it early morning or late at night, which is bound to please the Jones’ next door. Obviously when you are in the clear, you can turn the mode off and hear that V8 bellow like a bear that’s just stubbed its paw. With it being a new car, it of course looks different. The first thing you’ll notice is the tweaks that have been made to the front bumper. It’s sharper, more angular and helps to give famous muscle car a more aggressive nose. 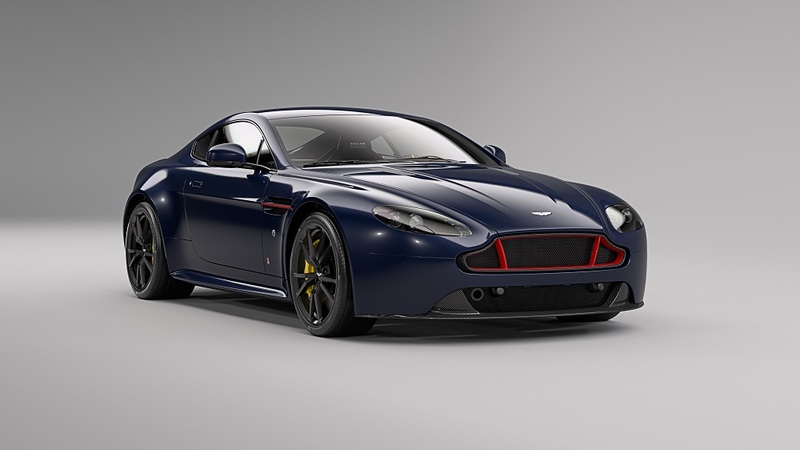 The bonnet profile is also lower and features integrated air vents, and below the sweeping bonnet are LED headlights that come as standard across the range. LED foglights are available as on option, if desired. In total, there are 11 colours to choose from for the new Mustang, including three new colours – Kona Blue, Orange Fury and Royal Crimson. 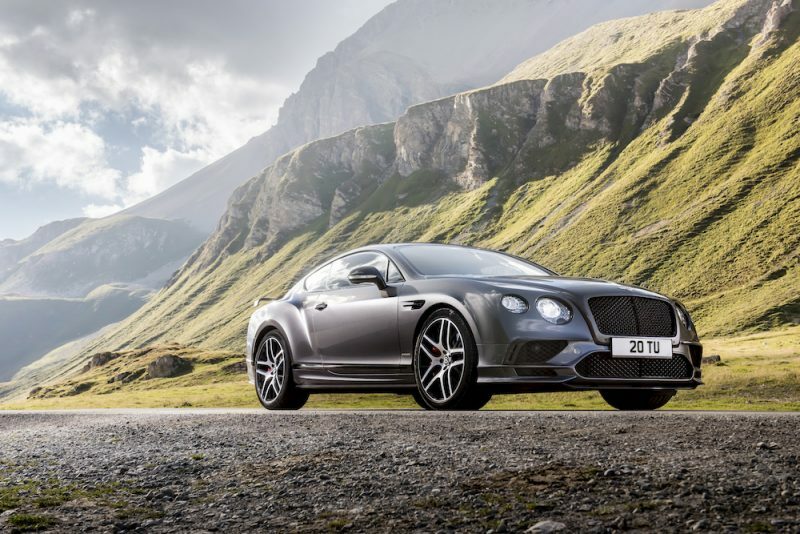 There are also new choices for alloy wheel design, including new 19″ forged alloys with a choice three finishes – Nickel, Ebony Black and Polished Aluminium. 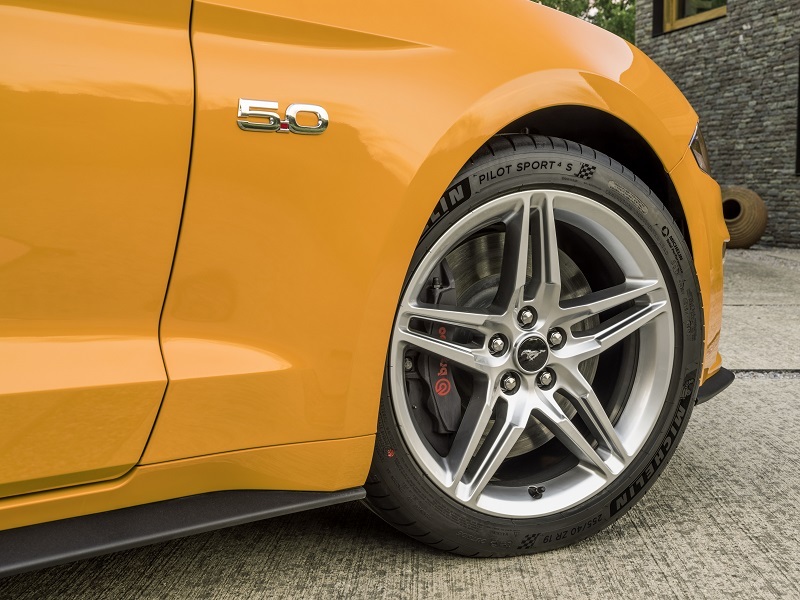 A boot spoiler can also specified on the new Mustang as an optional extra. It’s not just the outside that has had a spruce up – the cabin has been upgraded as well. The centre console now features a new hand-stitched, soft-touch wrap, finished with stitching in a contrast colour for a more dynamic and upscale feel. 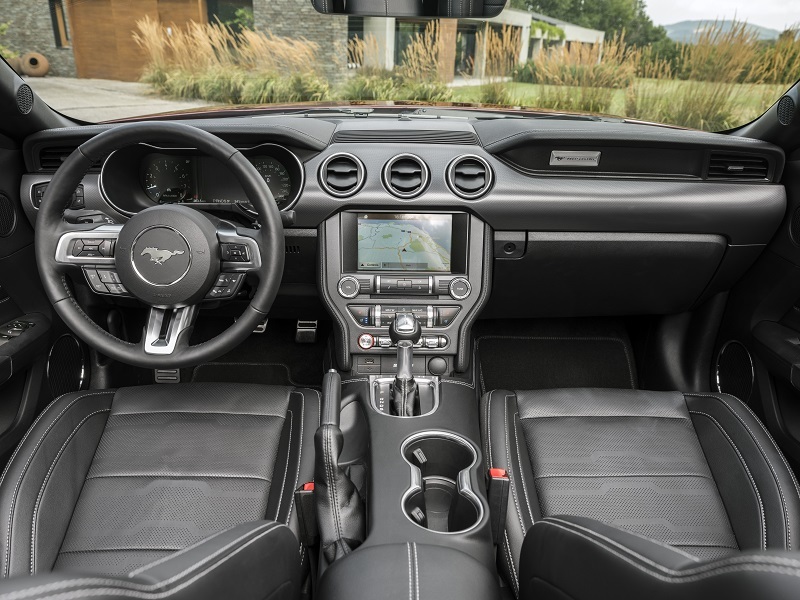 For the first time, leather-trimmed, heated and cooled seats, and a heated steering wheel are offered to make the Mustang a more comfortable place in which to sit. If you fancy something a bit more racy though, you can select Recaro racing seats finished in Ebony Black leather as an option. The Mustang will come fitted with Ford’s Sync 3 infotainment system, which is utilised via an 8″ touchscreen. To add to this, there is also a 12″ LCD instrument cluster which has been optimised to match each drive mode, much like the display in the new Ford GT. The display is also able to offer an industry first; a video-game style animation when the line lock mode is used. That ought to be dead handy on the M25. There are new safety systems on the Mustang, which should help it fare better, as the outgoing model wasn’t exactly the greatest for safety. 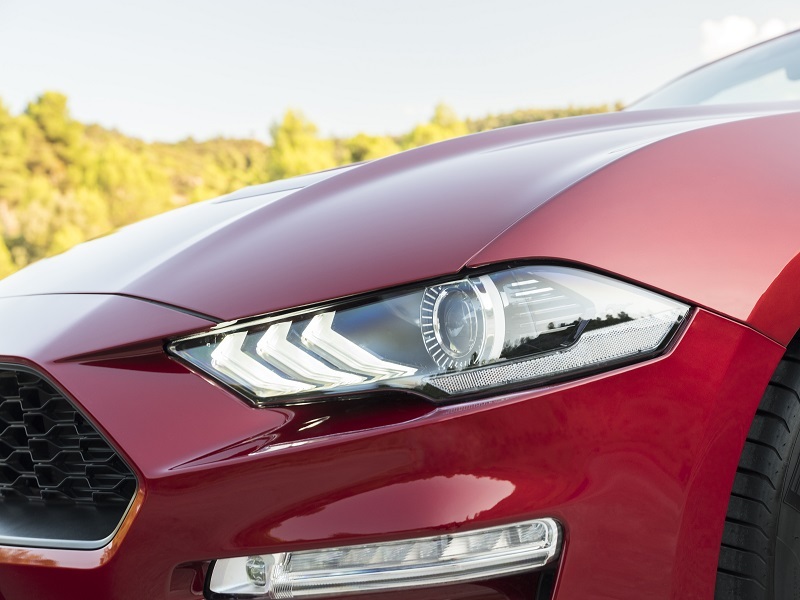 For the first time on a Mustang, you can select to have adaptive cruise control and distance alert technologies, which will add to the pre-existing Pre-Collision Assist with Pedestrian Detection system. Prices are yet to be announced, but Ford has confirmed that deliveries for the new Mustang will commence early 2018. Left or right? I’d rather have the one of the left, but with the colour on the right.